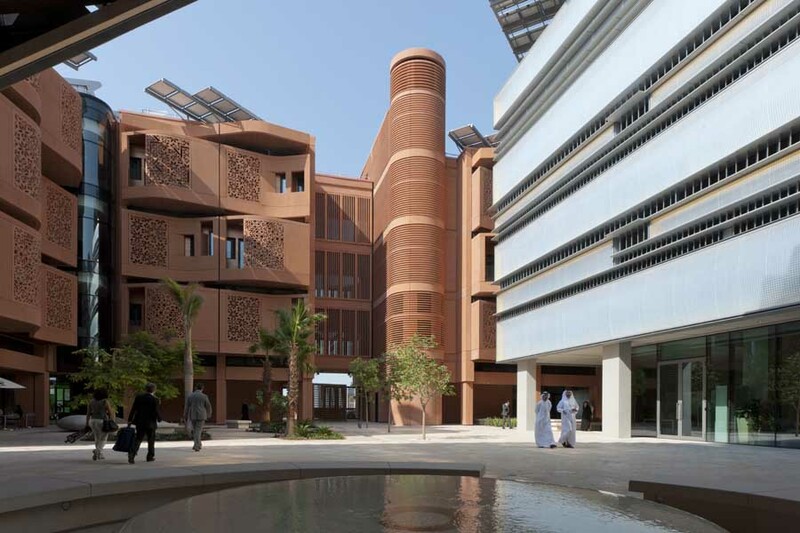 Construction began on Masdar City in 2008 and the first six buildings of the city were completed and occupied in 2010. However, due to the impact of the global financial crisis, Phase 1 of the city, the initial 1,000,000 sqm (0.39 sq mi), will be completed in 2015. Final completion is scheduled to occur between 2020 and 2025, according to wikipedia. The first project as a result of the Masdar Initiative is a new 6 million square meter sustainable development that uses the traditional planning principals of a walled city, together with existing technologies, to achieve a zero carbon and zero waste community. 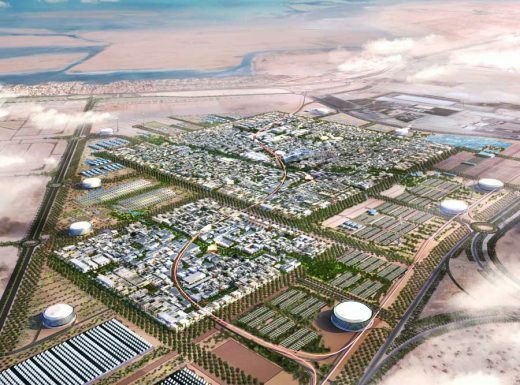 Masterplanned by Foster + Partners, the initiative has been driven by the Abu Dhabi Future Energy Company, and will be a centre for the development of new ideas for energy production. 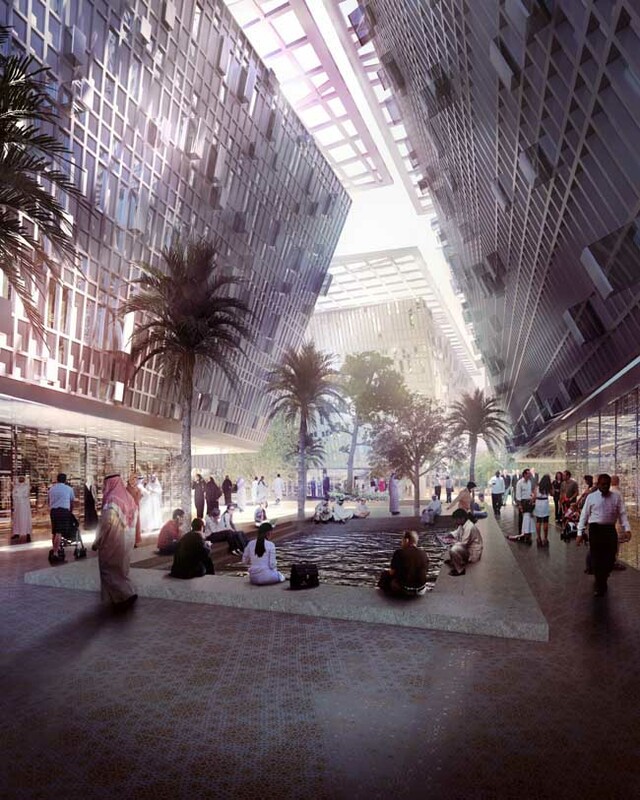 Masdar responds to the urban identity of Abu Dhabi while offering a sustainable urban blueprint for the future. 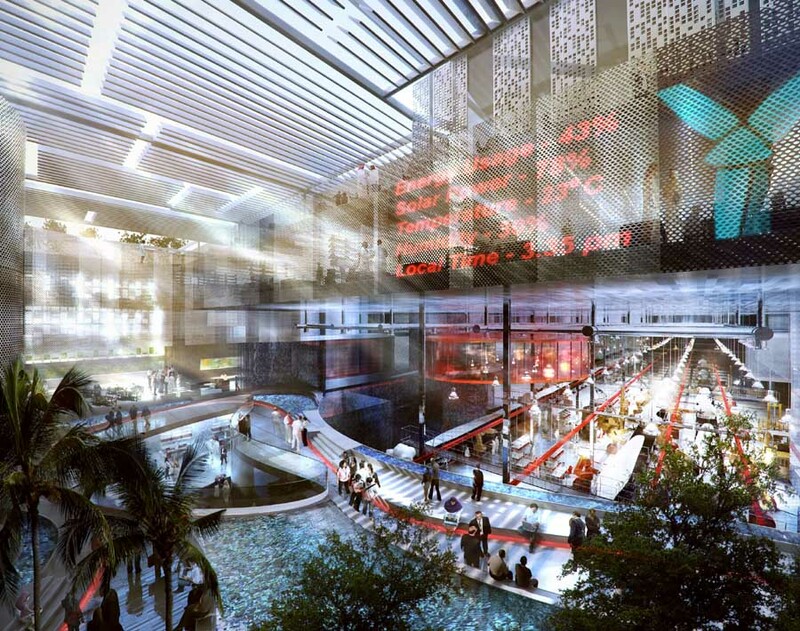 Due to be launched at Cityscape Abu Dhabi 2007, it is an ambitious project that will attract the highest levels of international expertise and commerce, providing a mixed-use, high-density city. The exciting programme includes a new university, the Headquarters for Abu Dhabi’s Future Energy Company, special economic zones and an Innovation Center. The principle of the Masdar development is a dense walled city to be constructed in an energy efficient two-stage phasing that relies on the creation of a large photovoltaic power plant, which later becomes the site for the city’s second phase, allowing for urban growth yet avoiding low density sprawl. Strategically located for Abu Dhabi’s principal transport infrastructure, Masdar will be linked to surrounding communities, as well as the centre of Abu Dhabi and the international airport, by a network of existing road and new rail and public transport routes.